Point2 Homes gives you far more than a simple list of houses for sale. Get instant access to a lot of relevant information about Windermere, Edmonton, AB real estate, including property descriptions, virtual tours, maps and photos. The search results pages also have a wealth of information on Windermere, Edmonton, AB, if you scroll all the way down. 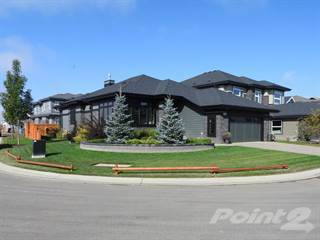 There are 182 houses for sale in Windermere, Edmonton, AB. 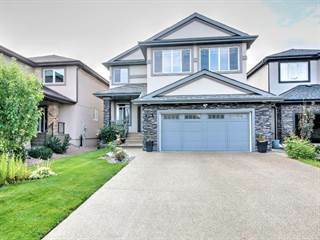 Searching homes for sale in Windermere, Edmonton, AB has never been more convenient. With Point2 Homes, you can easily browse through Windermere, Edmonton, AB single family homes for sale, townhomes, condos and commercial properties, and quickly get a general perspective of the real estate prices. Also, you’ll never miss a bargain if you filter listings based on house price drops in the past six months. Use the map view to find Windermere, Edmonton, AB homes and apartments for sale, based on amenities or city features that you may want close by. You can close in on a specific neighbourhood or area by simply drawing around them with the polygon or radius tools. Stay informed about the latest entries on the real estate market by saving your searches. This way, you get new listings in your inbox, daily or every week, based on your preferences. If you’d like to get in touch with a professional, agents are displayed next to their listings, and they’re easy to contact through the online forms. If you want more options, you can click the Tools tab and Find an Agent, and you’ll get a list of helpful and knowledgeable real estate agents in Windermere, Edmonton, AB. Visit the Point2 Homes blog and you can find up to date expert advice on many markets throughout Canada, regular market reports, neighbourhood scoops in cities throughout the provinces, real estate deals and useful recommendations. 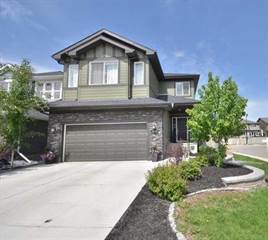 Windermere is a newer neighbourhood in the city with large homes and new park space. There are few amenities like restaurants and stores directly in the neighbourhood, but these can be found just outside of it. Without a neighbourhood community centre or library, residents must look to nearby neighbourhoods for indoor recreation opportunities. Windermere is located in the southwestern corner of the city, near the North Saskatchewan River. The neighbourhood extends from the Windermere and River Ridge golf and country clubs in the west to 170th Street SW in the east, and from 23rd Avenue NW in the north to Hiller Road SW in the south. Windermere is a newer neighbourhood, with smaller trees, newer park space, and brand new homes. Since the neighbourhood is still being established, the sense of community is not always as apparent as it is in older neighbourhoods. Windermere is a great location for golf lovers. The River Ridge Golf & Country Club is located along the North Saskatchewan River and features an 18-hole course with large lakes and ponds. The clubhouse is a popular location for private functions and company tournaments, with an onsite restaurant and scenic views from an elevated deck. The club offers private, semi-private, and group lessons, as well as golf camps for kids. Just south of River Ridge Golf & Country Club is Windermere Golf & Country Club, also located along the North Saskatchewan River. Membership is required to play golf on the private 18-hole course or to use the practice facility, as well as to take advantage of the benefits offered through the clubhouse. The clubhouse is a popular place for weddings and other private events due to its large main dining hall, onsite catering, and beautiful location. Just outside of the neighbourhood is the Currents of Windermere shopping mall, which has numerous retailers and service providers, as well as a large food court and movie theatre. There are few dining options in the Windermere neighbourhood, other than chain restaurants. Pizza City Donair and Broast on Windermere Boulevard is a Halal restaurant featuring pizza, shawarma, donair, burgers, fish and chips, and desserts. Customers can choose to get their food delivered or packaged for takeout, or enjoy a meal in the restaurant’s cozy dining space. Located on Windermere Way SW, Teriyaki Corner Japanese Bistro offers a variety of sushi and other traditional Japanese fare. The restaurant has a simple but sleek dining area, as well as take-out and delivery options for customers. The Chopped Leaf, located on Windermere Way SW, focuses its menu on light fare such as salads, wraps, sandwiches, soups, and appetizers. The simple interior and large windows offer a relaxing space in which to enjoy chatting with friends while grabbing a quick bite. Single-family homes are most common in Windermere, with some semi-detached homes, duplexes, and row houses also available. The average price for homes in the area is $871,187, which is much higher than the average price for homes in Alberta overall ($389,943). The population of Windermere is 2,136, and this has been growing quickly for the past 10 years. Families make up 22% of the population here, 53% are couples, and 25% are single. The average annual income is $288,177, which is much higher than the average for the city as a whole, and 74% of residents are university or college educated. Since Windermere is close to the outskirts of the city, it doesn’t experience as much air pollution issues as neighbourhoods closer to Downtown do. Areas closer to major roadways sometimes have issues with traffic noise. Windermere’s crime rate is lower than those of many other neighbourhoods in the city. The most common crimes in the neighbourhood are assault, theft from a vehicle, and break and enter. Schools in the Windermere neighbourhood include St. John XXIII Edmonton Catholic School and Constable Daniel Woodall School. Other schooling options can be found in nearby neighbourhoods and include Dr. Margaret-Ann Armour School, Esther Starkman School, Lillian Osborne High School, Monsignor William Irwin Catholic School, and Donald R. Getty School. Windermere doesn’t offer any post-secondary options, so residents must travel outside of the neighbourhood to access options such as Taylor College and Seminary, Alberta School of Business, CDI College (Edmonton West), St. Joseph’s College, and the University of Alberta. Several Edmonton Transit Service routes run through the neighbourhood, including routes 24, 25, 26, and 325. These include basic service routes and peak service (rush hour) routes. All of these routes allow passengers to access other areas of the city, including Downtown. Park spaces in the neighbourhood don’t have official names. A park off Whitelaw Drive NW in the northern section of the neighbourhood wraps around a small lake and offers a walking trail, landscaped areas, seating areas, and greenspace. In the centre of the neighbourhood is another park, located off Washburn Drive SW, which features three small ponds, walking paths, landscaped areas, and greenspace. Also in the central section and located off Windermere Way SW is a park with multiple small ponds, landscaped areas, greenspace, and walking paths. In the southern section of the neighbourhood, a park off 171st Street SW has a small lake, walking paths, benches, greenspace, landscaped areas, forested areas, and a playground. Other park space can be found outside of the neighbourhood’s schools. There are no community centres, recreation facilities, or public libraries in the neighbourhood, so residents must travel to nearby neighbourhoods to access these amenities. The Twin Brooks Community League, located east of Windermere, has a community hall and a rink. Sports programs available through the league include soccer, hockey, basketball, and ice skating. Programs held at the hall include dancing, Zumba, yoga, crafts, fitness, art, music, seniors’, and children’s. Located northeast of Windermere is the Terwillegar Community Recreation Centre, which features an aquatic centre, a fitness centre with indoor track, an arena, a children’s area, and commercial space. The centre offers drop-in and registered programs such as swimming, hockey, badminton, basketball, fitness, dance, kickboxing, martial arts, music, pickleball, pilates, table tennis, Zumba, and yoga. The Riverbend branch of the Edmonton Public Library, which offers a variety of community programming for people of all ages, can be found northeast of the Windermere neighbourhood.